Interestingly there is a benchmark for strategy Linkedin in Spain, Pedro Vicente, author of "squeezing Linkedin"Bet also openly accept all applicants to contact us. Also it exposes reasons, which relate more to the opportunity to invest the classic terms of networking: instead of having coffee know each other first and then follow on networks it aims to connect in networks and bide our time of devirtualize the relationship around a coffee. Besides Pedro, my colleague and expert social selling Álex López Secunda the same theory to accept everyone. But given its activity, already covered the quota 30.000 It supports Linkedin contacts and now to accept a new contact needs to let another. The curious thing about all this is that the networking, start in the real world or the virtual start, Coffee is the main character is, the link. There will always be a coffee you want to know. La Tertulia coffee is very different from speed dating a networking event, has duende, This is not five minutes stressful and elevator pitch, It is easy to understand the affinities of both, dialing human profile, and discover empatías and tunings. Meet for coffee ranks among 30 minutes and an hour. Should we accept everyone in Linkedin? This is not to accept everyone, only those people with whom you share a coffee. Personally I do not usually accept those profiles that are suspected: do not wear profile picture, professional headline is misleading or does not give any information (CEO, for example), people working in multilevel type pyramidal structures and people who lie. I think it pays to be somewhat selective, as contact your network is part of your brand and your reputation. According to a study by Linkedin on 2012, Spaniards seem to excel in relationship management, and more women than men. It is noteworthy that offline networking is still above online, but what is common is that the agreement is typically seal around a caps or coffee. If you pay attention, most establishments have proliferated in recent years in cities that have been, cafeterias and snack bars, Winning the classic restaurants. Why? It is the format. Not as fast as a speed dating or as long as a pure-blooded style lunch, It can be prolonged three hours. In summary, not worth collecting contacts on the network, what really matters is to understand that coffee wants to know, that is the key, what Bogart called "the beginning of a beautiful friendship”. Two years ago the newspaper La Vanguardia It placed the personal branding as one of the professions future 2020. They were wrong. The thing is ahead a few years. Although it varies by author, my definition goes like this: Marca Personal It is the brand you project on others and Personal Branding It would be the strategic process to manage that mark. We need to thank Tom Peters, Neus Arques, Andrés Pérez Ortega, Dan Schawbel, William Arruda, Brenda Bence, sappers personal branding, who began to talk about publishing reference books on the subject. then we have been others who have entered, as Jordi Collell, Pablo Adán says, Oscar Del Santo, Arancha Ruiz, much others… and myself. Although everything evolves, Today there is a lot of literature on personal branding, but until now, and I know, It has not been treated the subject from a university formative perspective. Until now. 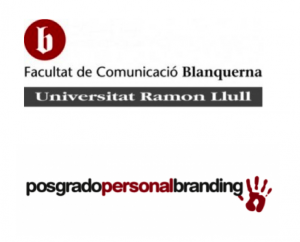 The first step will be the last -no- it has dado Blanquerna Communication, from Universitat Ramon Llull, wherein the first Graduate Personal Branding. What makes this unique graduate is new, but especially the quality of which will impart and its director and coordinator, Jordi Collell (Soymimarca) and Antoni Solanilla. Also noteworthy is the completeness of the program, you can refer to micro-site the graduate. I would have loved that there was something a few years ago, When I was a student. I have no doubt that he had chosen. But I'm not complaining, now I can see from the faculty, I will share with colleagues except among whom are some of the pioneers of the personal brand. If you have creative and entrepreneurial mindset, If you like helping people, If you want to feel the satisfaction of becoming one of the few personal branding consultants, do not hesitate, this is your graduate. I think it starts in October, so do not sleep, places are those that are. Is it always good your people are your brand? 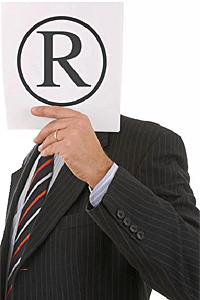 Many companies are wary of key professionals who reach higher prominence of corporate identity. Difficult fight it. They are outstanding ambassadors of companies, their brands and their products. But his strong communication skills, the amount of fans who drag and reaching prominence, driven by social and professional networks, Scares more than one company. Eva Levy, socia founder of Eva Levy & Partners, He speaks of talented employees who are excellent communicators. This is key professionals who have understood the power of social networks by marketing your personal brand while driving their signatures, creating real economic value and establishing relationships with customers, the media, analysts and shareholders. Monica Deza, managing partner of W&M Consulting Group, adds that these key employees take advantage and circumstances of a new economic paradigm: “More and more freelance in what is known as the gigeconomy, small work environment. It is well-trained professionals, with good management of your personal brand and leveraging talent outside organizations, with great potential to develop their own career”. Teach people where the key is the sum of your personal brand with the company is an undoubted benefit to the company itself. Dan Schawbel, Managing Partner of Millennial Branding and author of the bestseller Me 2.0, It ensures that the recession mean it is not enough to be good at the job itself. “The economic scenario requires everyone to be an expert in your field. Increasingly, you need to be creative to distinguish themselves from others. Your people are your brand -talento is the same as brand-, and a company must decide whether to finally allow their employees this type of evangelization. The advantage of doing this is to have a much more powerful voice, with a more consistent for customers and employees feel empowered and more productive message. If companies do not see their staff as ambassadors for their own brand risk losing them to other companies”. Guillem Recolons, founder Lateral Consulting, explain what “organizations are realizing that it is increasingly difficult to curb the fact that talented people develop a strong identity. It is better to support them, because ultimately they are in favor of the Corporation, provided that such personal brand is linked to it. Must make way to develop that personal brand, to talk about her in the company, because it is a means of communication with more strength and credibility that corporate messages. And it should be linked to positive values ​​of the firm”. Eva Levy agrees that “If you do not have no differences and the best is not possible to survive in such a competitive market. Today there is a need to distinguish companies, and this is more common for people who for products. So far the organizations gave little importance to these professionals”. Levy warns that, evidently, that visibility may imply that headhunters and other companies can bid on these brightest professionals. The question is how to retain talent, and this implies more a symbiosis that offer more money. Finding the best has to be constant. Monica Deza says “Companies are made by people. Many companies are in the process of stopping talent, instead of holding it. Efforts should be that people do not go, investing in it”. In this regard Andrés Pérez Ortega, personal branding expert, He states that one of the keys is “grasp that 1% of professionals who really want to develop this type of activity, using as a marketing tool that minority that is willing to stand. HR directors must pass personal brand managers”. Meanwhile believes Dan Schawbel “to recruit every professional must be sure that there is a vision and a common mission, and brand attributes. If you do not hire talent that can be integrated into the corporate culture, This can leave the organization in a short time and ruin the corporate environment”. The idea is that, once it captures the right employees, it is necessary to train them in all that relates to the agenda of the company and allow the use of social media to build your brand and support the mission of your company. Schawbel believes that “personal branding becomes selfish and try to be more important than the company itself when the person and organization are not in tune. That's when the employee tends to leave the organization, create your own or to work for another company which itself is aligned with its main interests”. Guillem Recolons It also refers to the fear that show numerous firms about the possibility of developing personal brands. “In this case adversely they affect people who are not happy in your company. Create your personal brand to say 'Here I am!’; It is an alternative way out of the company. Ideally, organizations know what employees can expect, and they know that companies have them”. 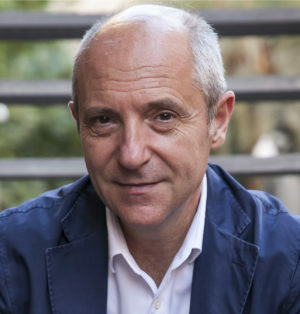 Andrés Pérez recalled that “many companies are afraid of the information coming out, that the perception we have from the outside is not that controls the communication department. The image offered by the company which is not desired to be taken. It is an absurd fear of losing control, because you can not hide or try to control, but make the most of the ability to communicate and promote visibility tools”. https://www.guillemrecolons.com/wp-content/uploads/2018/07/Logo-Guillerecolons-300x240.png 0 0 Guillem Recolons https://www.guillemrecolons.com/wp-content/uploads/2018/07/Logo-Guillerecolons-300x240.png Guillem Recolons2010-05-28 23:04:322010-05-28 23:04:32Is it always good your people are your brand? 1. What makes you an indispensable person? This post began a series of questions that will help us strengthen our personal brand issues. Some are inspired by the blog of one of the world gurus of personal branding: Dan Schawbel. Some say that cemeteries are full of indispensable people. Yes, there may be no one essential. But here the meaning of the word is fenced to “highly valued“, an expression of difficult translation would say “person High value added“. It is a difficult question to answer, and if the answer is “I do not know” O “nothing”, we have a reinforcing element. We need a specialization, They are perceived by others as someone expert in something. It may be a technical specialty-an auditor- a one skill movesl Someone with strong personal empathy for relations business-. Learning is useful, but in my opinion it is even more art listening. A large advertising campaign Midland Bank of the 80 summed up the art in this way: “The more we listen, the more we learn. The more we learn, the more we can help” (copywrite Saatchi & Saatchi). summarizing, specialization on the one hand and on the other the art of listening are things that can help make you an indispensable person. https://www.guillemrecolons.com/wp-content/uploads/2010/03/que-te-hace-una-persona-indispensable-blog-guillem-recolons.png 417 1100 Guillem Recolons https://www.guillemrecolons.com/wp-content/uploads/2018/07/Logo-Guillerecolons-300x240.png Guillem Recolons2010-03-01 10:48:522018-01-20 11:06:301. What makes you an indispensable person?